It takes just a glance at the UK charts to assume that we live in a world of lyrical destitution. The list is dominated by DJs and imagination starved pop stars, undertakers at the funeral of the storyteller. But fear not, this isn’t going to be a senseless rant about the state of modern music; there are plenty of those out there. Instead, it will be a (very) short exploration of musical storytelling and an examination of its current state. So join me and ponder whether musical imagination has indeed met its end. Can we only look back and enjoy storytellers of the past, or is there reason to be more optimistic than that? As you listen to the first couple of tracks, it’s worth remembering that not all music is designed to tell stories through words. Dance music is rarely celebrated for its lyrics, but this is certainly no reason to lambast it. Instead, consider the purpose of any music for the listener. The huge quantity of the works of Mozart, Bach and Vivaldi, considered amongst the greatest composers of all time, were designed with just one purpose in mind: dance. Thus, modern dance music without meaningful lyrics is nothing new. Indeed, it represents a distinct continuation in musical history. It is not unknown for modern dance musicians to remix classical tracks. 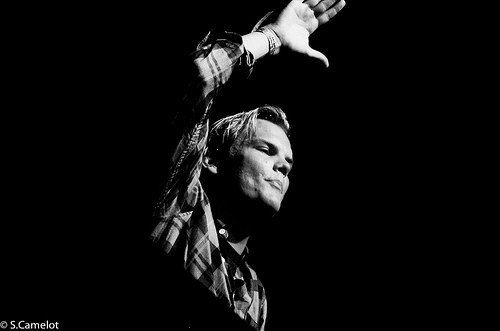 Just as with all genres, dance music can be superb and it can be awful, but its purpose is to entertain without the need for lyrics. It certainly cannot be blamed for the death of musical storytelling. Instead, the blame lies with contemporary music which appears to prioritise lyrics, without using them to say anything of interest. I highlight One Direction’s latest offering, ‘Best Song Ever,’ a painfully generic tale of meeting a girl in a club and dancing with her all night. It offers no insight, other than that the boys are more than capable of enticing girls in clubs, as if we needed reminding. In a similar vein, we have Bruno Mars’ ‘Treasure.’ All we learn about this ‘Treasure’ is that she’s an aesthetically attractive woman. Honestly, that’s it. The majority of mainstream songs, most notably love songs, have forgotten how to express ideas beyond the most basic carnal attraction. 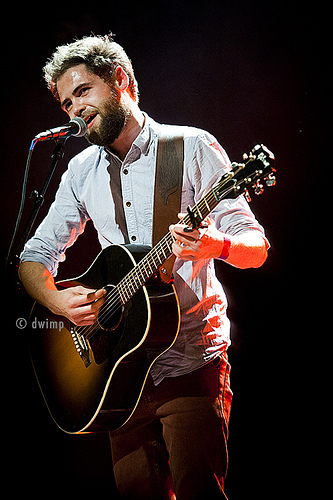 At this stage, I must give an ounce of credit to Passenger for ‘Let Her Go.’ OK, he’s no Roger Waters, but Mike Rosenborg has made some attempt here to answer the why question that is so rarely addressed in modern pop. Whilst his conclusion is nothing more philosophical than the fact that he ‘dived too deep,’ it’s a subtle but welcome departure from many of his contemporaries. It would be wrong to blindly criticise the current crop without examining what came before. In a piece on storytelling, it would be sacrilege not to mention the immovable Bob Dylan. Lyric after lyric, song after song, album after album, took his listeners on a journey. He is by no means the only great storyteller, but his ability is highlighted by his lack of other musical weapons; Dylan was not a great singer, nor a great guitarist, but his ability to paint a scene with words is almost without comparison. Whether he sings about a lonely musician in ‘Mr. Tambourine man’ or protests against racial injustice in ‘Hurricane,’ he builds worlds and creates atmospheres with words alone. In a similar vein, though with considerably more talent as a guitarist and singer, lies John Fogerty. The Creedence Clearwater Revival catalogues are a celebration of the world from which Fogerty hails, examining every aspect through lyrics. Three of their studio albums reached No.1 in the US and ‘Cosmo’s Factory’ became No.1 in the UK. Why then must our modern chart toppers limit their lyrical scope so severely? Let nobody tell you that this sort of lyric writing takes too much time to be viable in the modern music market. Johnny Cash, architect of some of the most painfully real stories ever told, released 55 studio albums, regularly releasing 2 in a year. He was the master at brilliant simplicity. In more recent times, the mantle of clever and real storytelling was taken up by rap artists. The premature death of Tupac Shakur in 1996 took from the world one of a new generation of artists who were hitting the mainstream, using words as their primary source. Along with the Notorious B.I.G, who died just a year later, they represented the best of what hip hop had to offer. Despite their new wealth, they remained gritty and true. When they sung about the problems of the ghetto, they were believable and utterly harrowing. 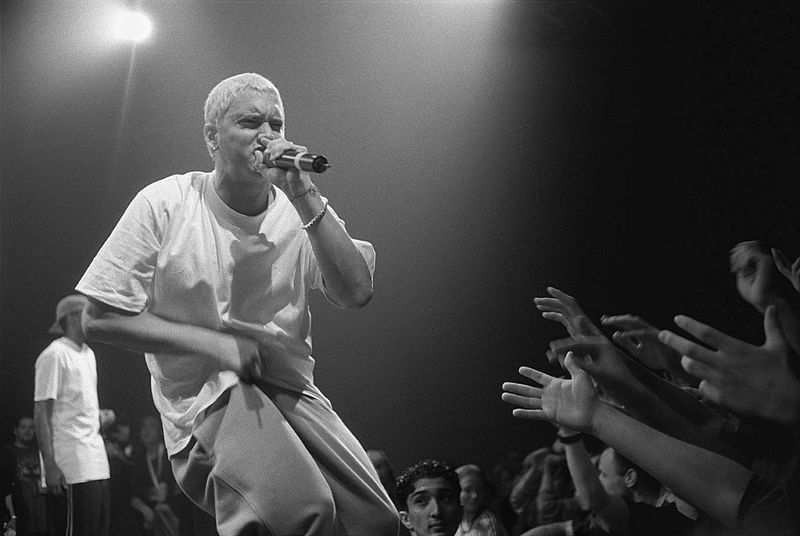 Whilst Eminem has gone down a more pop influenced route of late, supported by more instrumentation than in the past, his lyrics remain both difficult and thought provoking. As he gears up for a headline spot at Reading & Leeds 2013, it seems that the mantle of the mainstream storyteller remains in part on the shoulders of hip hop. But this is not the only reason for optimism, for there are new storytellers on the block. 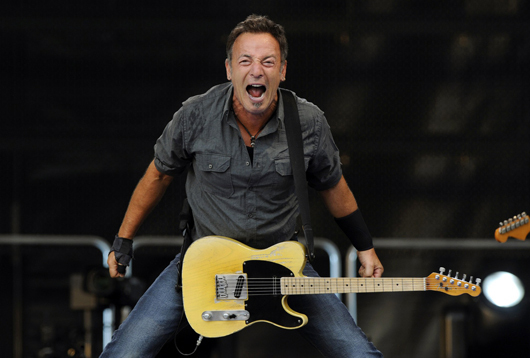 During a recent interview for performancereviewed.com, Josh Flowers cited Bruce Springsteen’s 1982 album of demos ‘Nebraska’ as one of his favourites of all time. It’s the total dependence on lyrics in these demo tracks which make them so attractive. Along with his band, The Wild, Josh is just one of a new breed of performers who see storytelling as central to good music. Head to festivals and you’ll find the smaller stages dominated by bands seeking to revive an art which at times seems desperately dead. In truth, musical storytelling is not dead, but it’s rarely allowed to break into the mainstream. Perhaps the blame for this lies with the consumer – why would the modern listener take 4 minutes out of a busy day to hear a story when they can enjoy a beat in a matter of seconds? However, there remains a core of performers and listeners who ensure that storytelling does not die. Whether it will ever dominate the charts like it once did is impossible to tell. But if you look hard enough, you’ll find witty lyrics and clever tales. So go ahead and celebrate the past, but appreciate the present and be hopeful for the future.